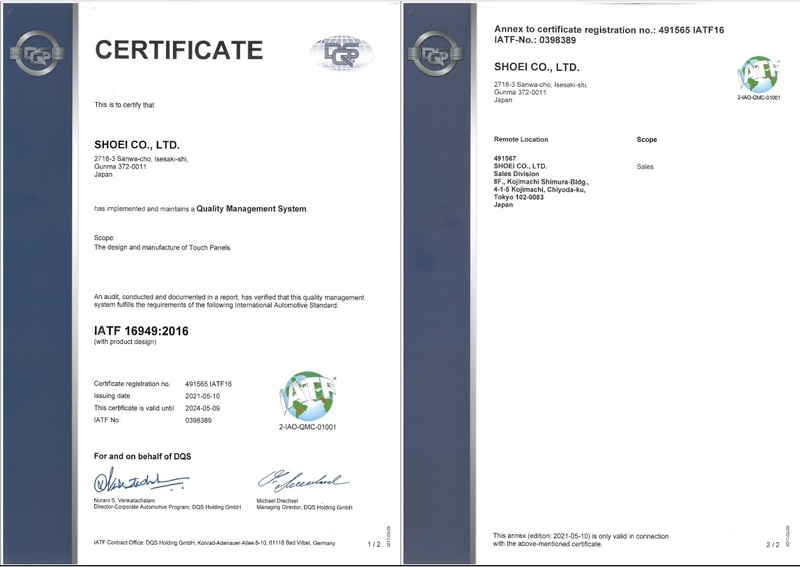 Quality Management | Development, Production and Sales of touch panels | SHOEI CO., LTD.
Our quality management system is built upon the criteria of IATF16949, the international standard for the automotive industry. 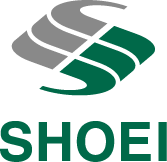 The components integrated into automobiles must be of high quality, and since its founding, SHOEI has tackled this challenge head-on. 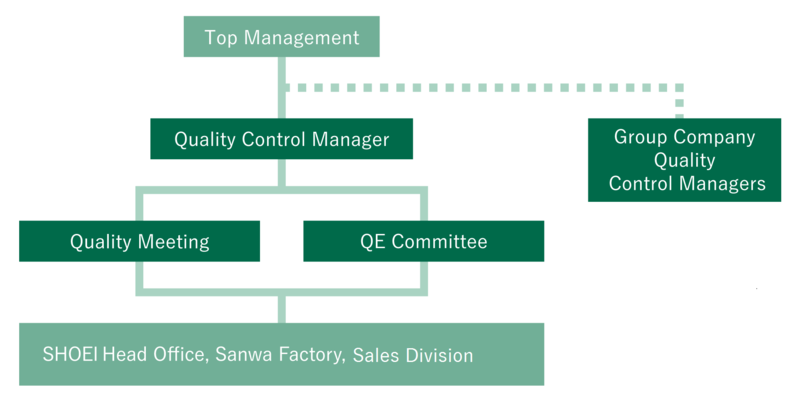 We continually practice the basics of our manufacturing process management, which are the commitments to never include, create, or provide defective goods. We place the highest priority on quality in our manufacturing process and contribute to society as a company trusted by customers. We aim to be a comprehensive touch panel manufacturer through our unique technological and production capabilities. We produce products that are trusted by customers through improving production yield and quality. We enhance all employees’ skills and raise their awareness while making continual improvements to our quality management system.